Autumn, with its bright days and brisk nights, brings a welcome change after the dog days of summer. Bring the brilliant colors of the season indoors with these insider decorating ideas from Nina Cooke John, architect and interior designer with New York City-based Frame Design Lab. 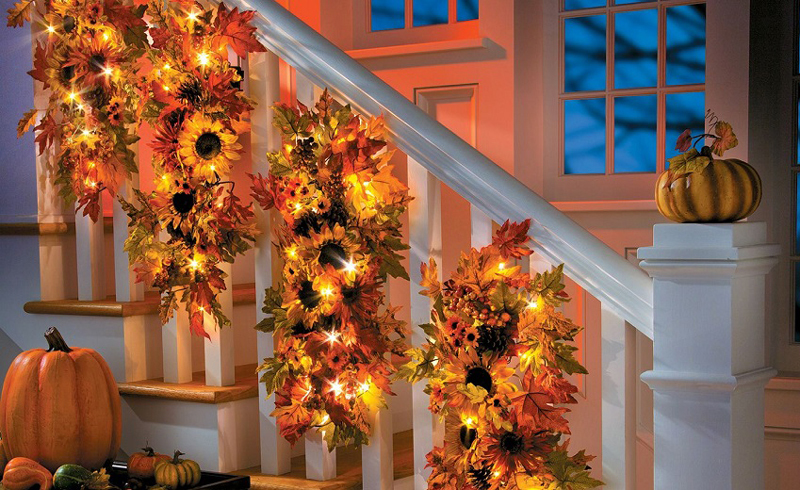 Embrace the colors of nature by adding fall decorations at your front door. 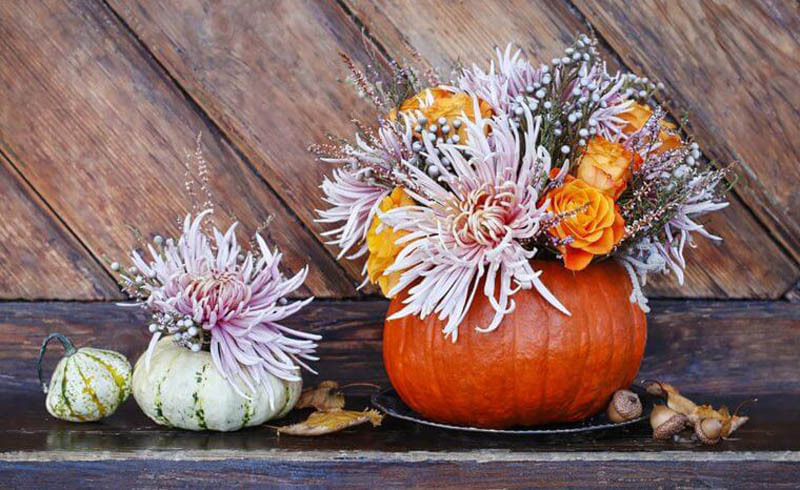 You can begin with a small nod to the season by adding a wreath made of harvest berries or dried foliage to your front door, or celebrate the varying shades of orange, red, yellow, purple, green, blue, and black of autumn with a full display on your porch: Arrange magenta mums, green and white ornamental cabbage plants, and pumpkins of any color on your porch steps or next to an evergreen plant on a porch table for an eye-catching welcome. 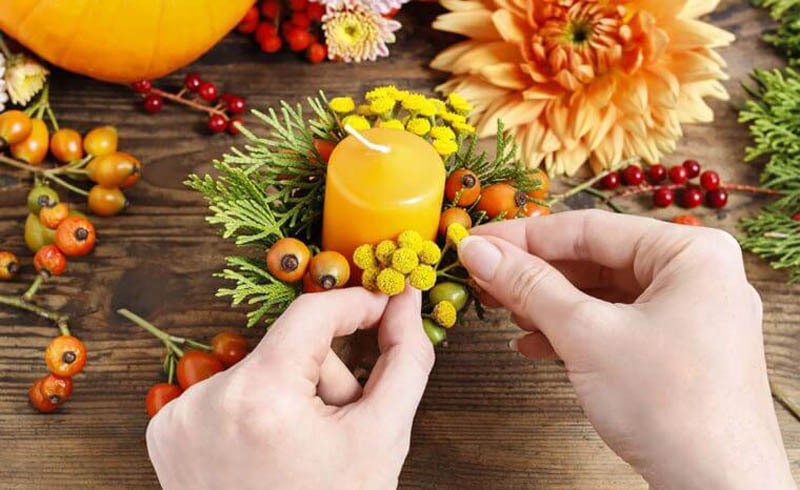 Before you go nuts with fall decorations indoors, select a single focal point in your house for a moment of “wow.” This can be your dining table, mantle, or foyer table—whatever spot will give you the most bang for your buck, whether you expect lots of visitors or spend lots of time with family and friends around a fire. Once you’ve selected your ideal location, create a lush autumn scene. 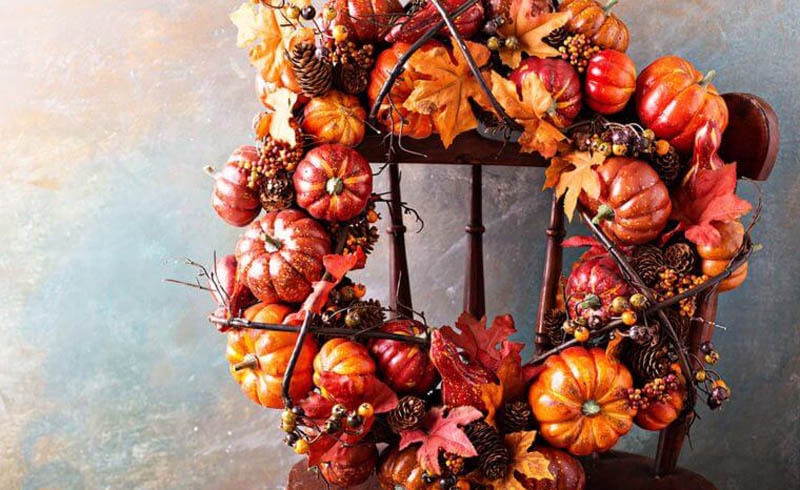 Vary color and texture using dried plants and foliage, pine cones, gourds, and acorns. (Here’s how to make a centerpiece of dried flowers.) Consider the scale of the room and surface. For a dining table, spread your centerpiece across the length, include tall twigs for height at a foyer table or on the floor beside the mantle, or let your arrangement drape around and down a mantle by including an autumn garland. Mix in non-seasonal items that you love to display throughout the year—candlesticks, framed pictures, or family heirlooms—to make the arrangement uniquely yours. Just as you trade a linen suit for wool, your house can also use an autumn wardrobe swap. “Fall is a great time to switch out linen throw pillows with materials like mohair, velvet, wool or even fur,” says Jenny Vorhoff of Studio Riga in New York City. “I also love to add extra throws around the house. 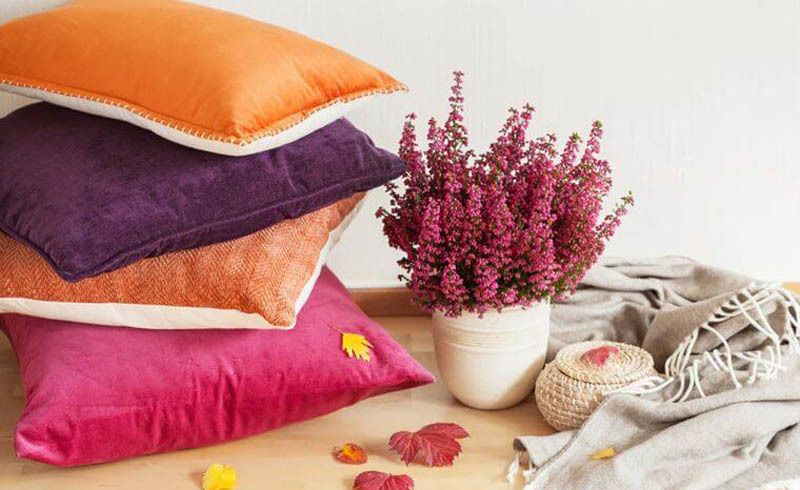 If the palette works, use fall foliage as color inspiration for these accessories.” Burke also loves a “pillow refresh” for fall. “Add a couple new pillows in umber or olive silk velvet. These warm tones are the perfect contrast to neutral upholstery and will last you through all the seasons,” she says. 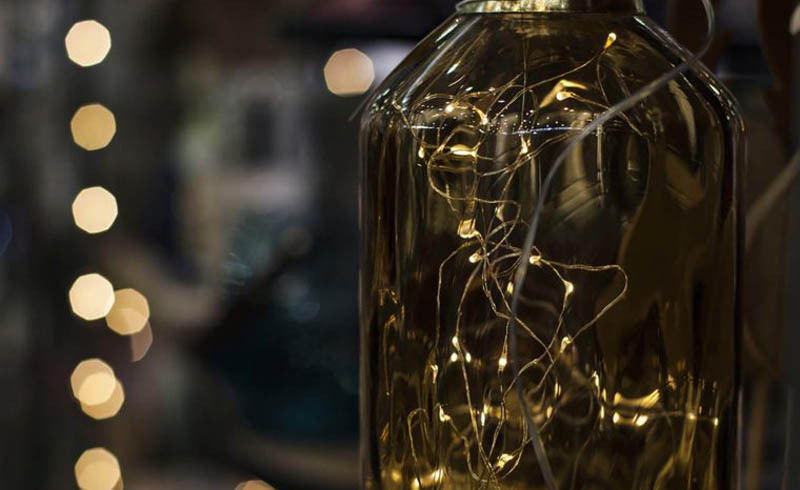 Glass vessels are ideal for displaying almost anything. You can see the full composition while keeping all the parts organized (and safe from pets). Fill vases, jars, bowls, and terrariums with mini pumpkins, pine cones, acorns, apples, or pears. 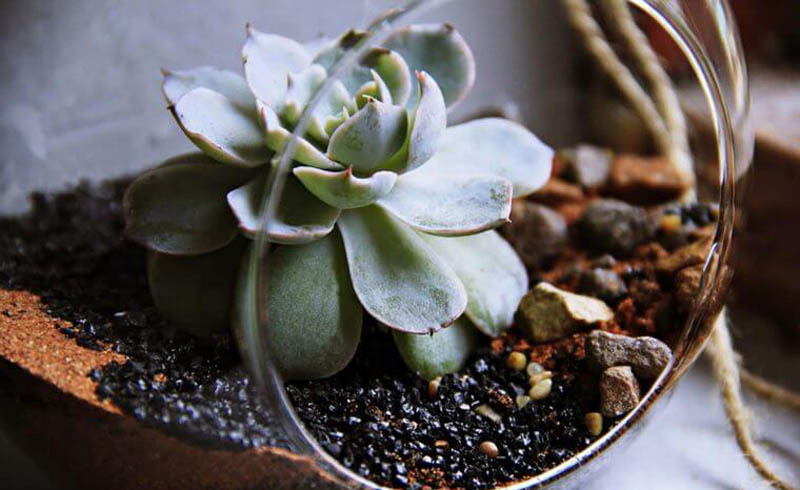 Combine different elements in larger containers like terrariums and keep smaller jars more monochromatic. These glass display cases can stand on their own, beside one another, or as an addition to an existing floral arrangement that you might have. 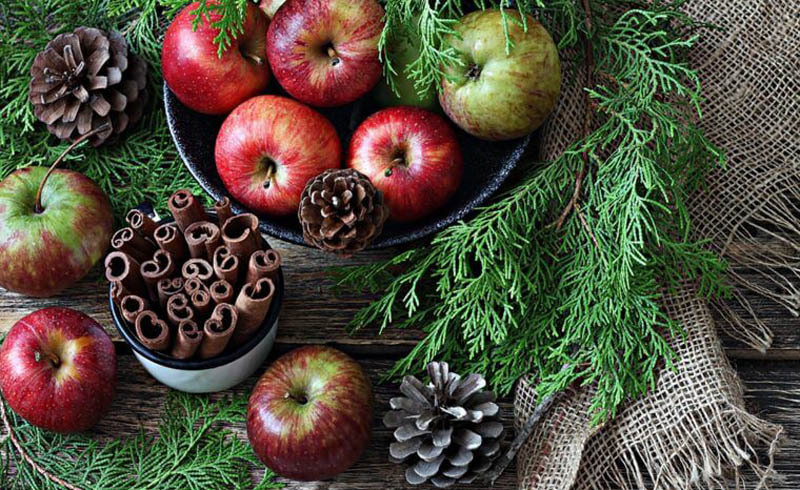 After an afternoon of apple picking, put large bowls of apples on the kitchen or dining table. Arrange pears in glass jars in easy reach ready for snacking. Squash of many varieties and sizes combine beautifully to show off the harvest bounty. Add glass containers filled with pantry items like dried beans, peas or corn for a contrast in texture. 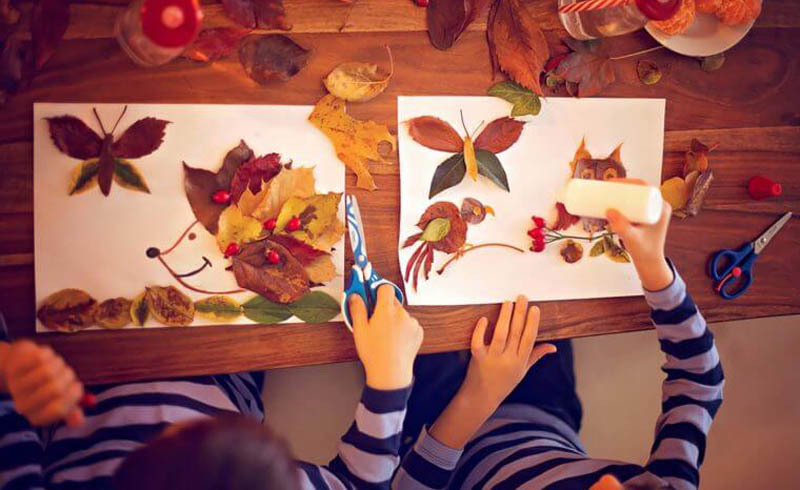 Kids work on fall-themed art and crafts projects throughout the season. Frame your favorites or put them in glass containers and display them on the entry table and mantle as part of the decorations for your home. Keep adding new pieces each year, as you do with holiday ornaments, and soon you will have a collection that you and your family will treasure for years to come. There’s an art to displaying collections. If you have a collection of pumpkin sculptures or bowls that you’ve amassed over the years while shopping end-of-season sales or while on vacation, display them throughout the house. Large pumpkins, small pumpkins, straw pumpkins, gold pumpkins, pumpkins made of glass or porcelain—all make beautiful display items. Pair similar ones or make small clusters of very different ones to create delightful pops of fall color. Combine white washed pumpkins, bleached dried leaves, and birch twigs for a modern twist on fall staples. Place your monochromatic arrangement wherever you could use a small pop of design interest. Scents play an important part in forming and retrieving memories. Pumpkin spice is popular for a reason. Aromatic cider bubbling in the kitchen and the smell of wood burning in the fireplace set the scene for a cozy fall afternoon. 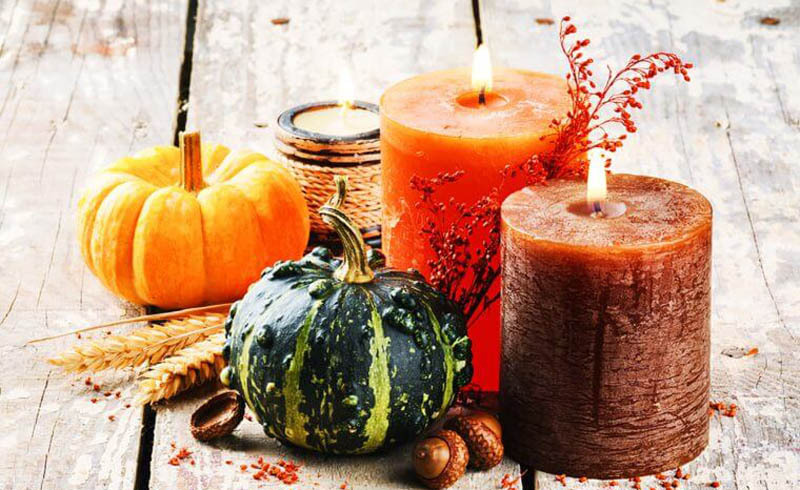 When considering how to decorate for fall, include scented candles, which can be just as inviting. 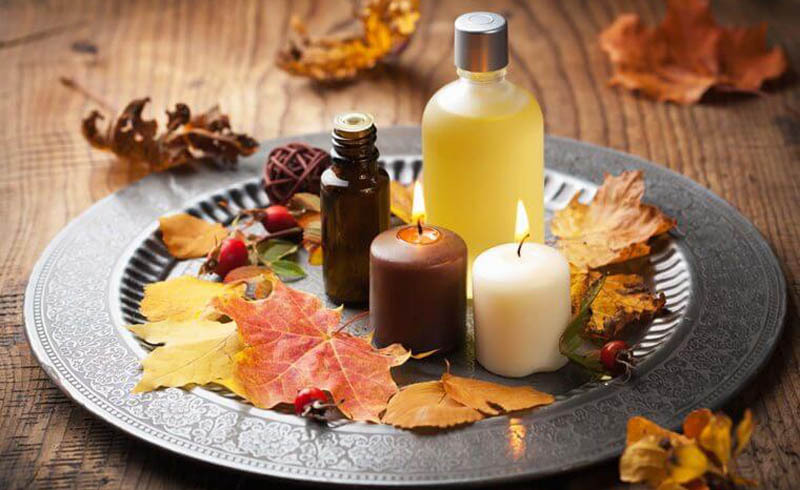 Look for scents with an earthy base like wood and musk for a fall infusion. In addition to well-appointed centerpieces, set out fall inspired place settings for both formal and informal family mealtimes. 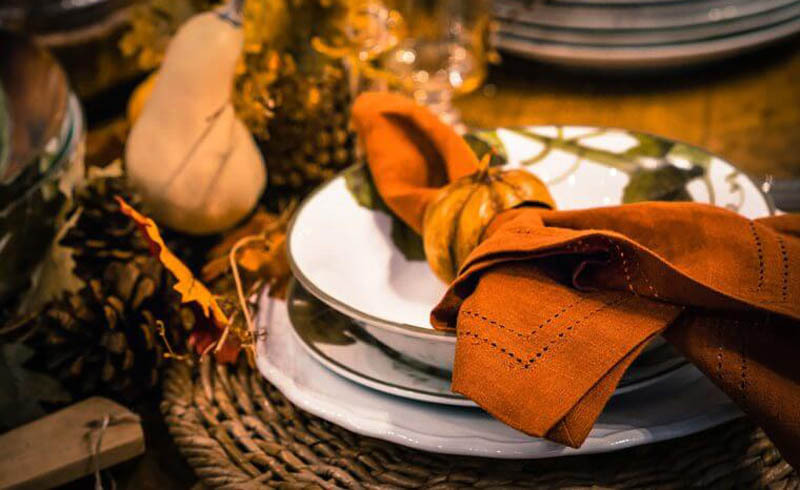 Layer jewel-toned placemats and napkins, and contrast them with an umber tumbler for an instant autumn update when creating fall decoration for your home. 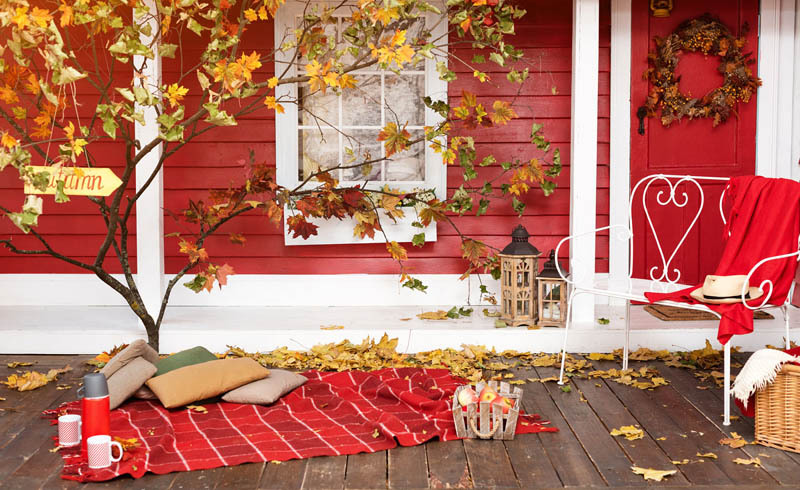 Let these stunning fall photos from around the country inspire your decorating palette.